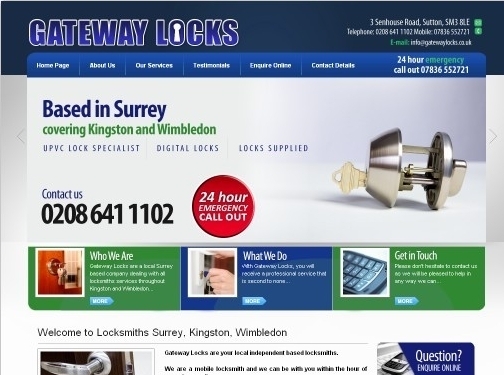 Gateway Locks are an experienced locksmiths. They offer their services throughout Kingston, Surrey, Wimbledon and the surrounding areas. UK (Sutton) based company providing locksmith services. Website includes details of services provided, testimonials, associations, full company contact details.